Pros: Great fun, small and discrete. Won’t annoy the neighbours. Good day everyone. For my next review, I thought I would review another item that caught my attention from Brando Shopping – a USB Roll-Up Drum Kit. 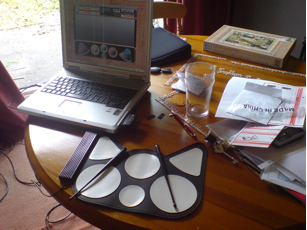 The USB Roll-up Drum Kit came in a well package box to protect the contents, which included the drum kit, 2 plastic sticks, instructions and cd software. As you can see from the photo below, it is not too big. There are many options and special effects. 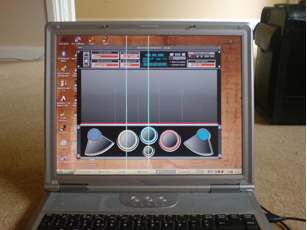 You do not have to use the external drum kit, you can operate it via your pc using the mouse on the drum controls on the software. However, I personally found using my hands on the external drum kit the most fun. Obviously, this drum kit is not as good as the real thing, but it certainly takes away a lot of frustration, and is very fun to use and has a number of options, more than I anticipated. Recommended. Any comments or questions please ask. Gavin. hi gavin, thanks for your review, i order mine from ebay and only now i realized it has not CD with it, do you know if there is a link on the internet where i can download the software? i tried looking without success.